Inspired by Oprah, BlankPixels0 is currently holding a blog contest wherein five bloggers gets a chance to fulfill a wish of a stranger or a fellow blogger for kindness' sake. 5 winners who will win the top 5 prizes will be chosen by the sponsors and her. Plus 1,000 Entrecard credits will be awarded as consolation prizes to 7 bloggers. 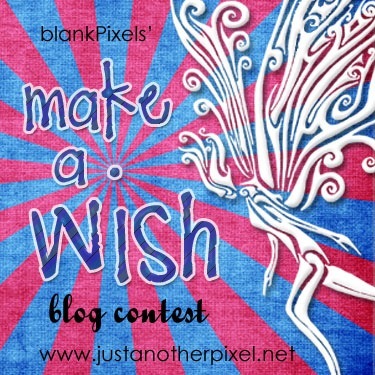 Join the Make a Wish Blog Contest over at Just Another Pixel. Click here or on the banner above for the complete mechanics and prizes. Please take the time to visit them.